Humans are strongly predisposed to recognize patterns. Music, math, language, and art all appeal to this part of our brain, but we also use this ability thousands of times a day for more mundane purposes, such as picking out a familiar face in a crowd and or finding a bottle of Heinz ketchup at the grocery store. So strong is this innate tendency, in fact, that we even see patterns where there are none, imposing order and meaning where none exist. 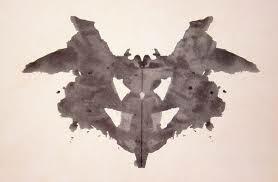 This need to impose order is the basis of the Rorschach test, where the subject is invited to interpret random or ambiguous images. So what does this have to do with translation? I’m glad you asked. Translation and interpretation are all about the recognition and creation of patterns, of course. It’s why many translators also enjoy jigsaw puzzles, crosswords, Sudokus and any other activity that scratches this pattern-finding itch; no surprise there. What many (beginning) translators don’t realize, though, is that we need this pattern-recognition ability not just to produce good translations, but to run a successful business as well. Good business decisions are based on objective patterns. Conversely, businesses that fail to thrive are usually based on decisions informed by imagined patterns. 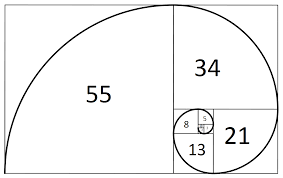 To illustrate, let’s take a look at one of the coolest mathematical patterns ever: the Fibonacci sequence. This sequence is a series of numbers where each number is equal to the sum of the two preceding numbers: 0 1 1 2 3 5 8 13 21 . . . Now, this would be no more interesting than one of those “what is the next number in this series” questions on IQ tests, where it not for the fact, as Italian mathematician Fibonacci pointed out in 1202, that this pattern is found all over in nature, from sunflowers to galaxies, as you can see in the picture below. Pretty amazing, right? Now in the translation business there are certain observable patterns as well. Skill, hard work, education, specialization, marketing, professional attitude and expectations and commensurate rates tend to curve, Fibonacci-like, into a beautiful thriving business. Lack of preparation, timidity, amateurish presentation and low expectations and rates, on the other hand, will prevent the business from taking off. Given these two predictable sequences, why would anyone choose the second one? Sometimes it’s simply for lack of awareness, although that’s not really an excuse in a world where information is only a click or a conversation away. Other times it’s not so much an information problem as an interpretation problem, of focusing on imagined Rorschach-type patterns rather than objective Fibonacci ones. Of course the reality is that all of us veer from fact-mode into assumption-mode sometimes. Just the other day I was asked to proofread a translation. It was hard slog, and gradually my frustration with the unbelievably incompetent translator morphed into the conviction that this had to be a product of machine translation. I concluded that the agency who had sent me this unacceptable piece of work was sneakily trying to save money by trying to pass a machine post-editing job off as a regular proofreading, so I fired off an email to the PM, curtly inquiring whether this was a machine translation. I was expecting a sheepish admission and I had a righteous follow-up email already composed in my head, complete with stirring mental image of myself waving a banner on the barricades in the new musical Les Traductrices Misérables . Come to find out, the PM had no idea what I was talking about; their client had sent them this document with no explanation beyond that they wanted it checked, and she was horrified at the suggestion that they would ever use MT. Oh. Okay then, cancel heroic fantasy, never mind. It might still have been an MT translation but the point here is that I was jumping to conclusions about the agency before getting all the facts. Based on my own experience and what I’ve heard from many colleagues, it takes most translators at least a year to build the beginnings of a client base and probably at least another year before they are busy full-time. Of course it’s still a struggle after 6 months; join the club of all freelancers/entrepreneurs ever. Plan for supplemental income during the start-up phase. The rate of any professional service is not based on overhead, number of work hours or the color of your hair; it’s based on the perceived value of the service you provide. It’s your job to help our clients perceive this value accurately. Education and accreditation are not a “more competent than thou” license, but they do enhance your credibility in the eyes of clients, who often don’t have much else to go on. Marketing: same idea. It’s not the client’s job to ferret out your existence and qualifications. Anything you do to represent yourself in a professional, capable manner helps build trust and brings in clients. I could go on, but you get the idea. 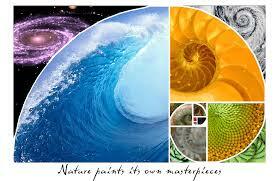 Rorschach or Fibonacci, the choice is ours. Colleagues, can you relate or you have any examples to share? I’d love to hear your perspectives.